Brazil is the fifth largest country in the world in both size and population and covers 47.3% of the continent of South America. This gigantic country is the largest of the Latin American countries and has an area of eight and a half million square kilometers. 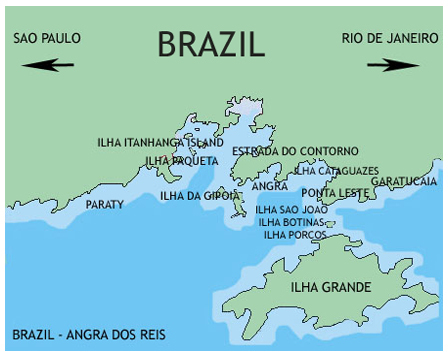 Brazil has four topographical zones, the northern lowlands are dense forest with the Amazon River Basin located here, the northeast is semiarid scrub lands, the central west and south have rugged hills and mountains that are mixed with rolling plains and on the narrow eastern coast the Atlantic Ocean gently washes along the 7367 miles of unspoiled coastline. The eastern shoreline is scattered with over 365 picturesque islands, protected harbours and has some of the most spectacular beaches in the world. 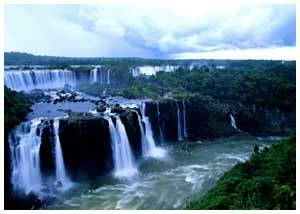 Brazil is a land of multicultural diversity that will take your breath away by its stunning beauty and exotic wilderness. This unique country with endless wonders to explore will give you a fun filled adventurous holiday. The Amazon rainforest offers both trekking and river trips that will leave you exhilarated by the sheer magnificence of “the world’s lungs”. Colourful forest birds fly high over head while monkeys swing from the tree tops and jaguars prowl through the forest at night. The river is full of life with alligators and turtles basking in the sunshine, parrots and macaws chattering in the trees along the rivers banks and river dolphins and the Brazilian otter are always waiting to thrill visitors. Canoe through the endless water world and see giant lilies that are large enough for children to sit on and visit the small villages along the banks of the river. Trek through massive canyons, explore magical caves or hike to the largest cascading waterfalls in the world where you can rejuvenate in the cool rock pools and be captivated by the sheer beauty around you. Step back in time and visit the picturesque towns with cobblestone streets, colourful cottages and rich cultural heritage including treasured architectural masterpieces such as the Municipal Theater, Sao Bento Church and Monastery, Guanabara Palace and the modern Art Museum. As you walk down the streets be enchanted by the live percussion music with Samba rhythms, great bars and many nightclubs. The restaurants offer some of the best cuisine in the world and you can dine in style while you gaze out over the most idyllic landscapes or be entertained by one of the local folklore shows. Brazil is a very desirable all year around sailing destination and benefits from fantastic warm weather, constant steady prevailing winds and no hurricanes. 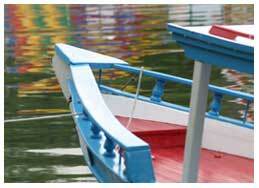 Costa Verde (The Green Coast) sailing ground is a magnificent area for yacht chartering. With hundreds of pretty coconut palm fringed tropical islands, pristine soft white beaches, calm clear waters and secluded anchorages, you will definitely find that Brazil is one of your dream destination. The protected bays and anchorages offer perfect picturesque settings; many have small Marinas, mooring buoys, quaint restaurants that are full of character and bars with great atmosphere. At anchor you can relax on your yacht with a beer in one hand and a fishing rod in the other and catch your own delicious sea food platter. At night watch the magnificent sun set while your BBQ fills the air with mouth watering aromas of your freshly caught fish. 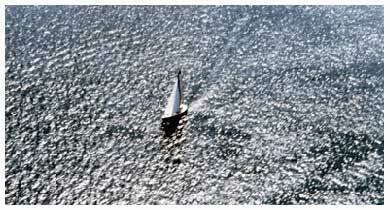 As your yacht glides through the water and the warm breeze blows your hair look out for the spinner dolphins that will accompany you on your journey. For snorkelers and divers Brazil offers many marine parks with crystal clear blue shimmering waters, famous ship wrecks, underwater caves, cool fresh water caverns and coral reefs that are abundant with marine life. Due to Brazil’s unique combination of climate and geographical location you will often be graced with the presence of pods of dolphins, turtles, sharks, rays and even whales. The Brazilian people are some of the friendliest in the world and will welcome you with open arms giving you fantastic service, lively entertainment, bright smiles and they will do everything they can to ensure you have a great time. Yacht chartering in Brazil will exceed all of your expectations and as soon as you start sailing in this magical paradise, you will never want to leave.